May shows are just around the corner. You got through the winter and did not slap anyone! Celebrate with a nice piece of jewelry from NSA! Placing the Caribbean Sea at your finger tips. 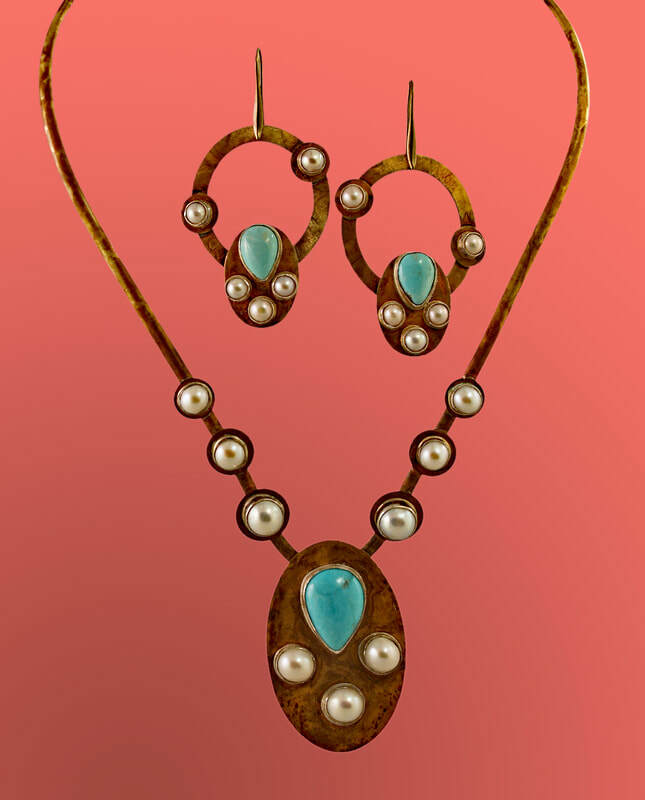 A new stone in the Nora Swanson collections is the rare and lovey Larimar. Mirroring the soothing blue of the waters that surround it's birth-grounds, this gemstone is perfectly set to advantage with the golden honey tones or striking black genuine patinas in the metal work. Playful and yet gracious for all of your summer outfits and travel fashion looks. This stone only forms in a few lava tubes in one small area of the Dominican Republic and it is not far from being tailed out. It is now very high risk to get into the areas where there is any left and there have been several fatalities. When the government shuts the site down, risk takers will still go after what's left, but it will command higher prices and become a black market stone. ​ I am pleased to offer one of the finest selections of what is considered to be the rarest agate in the world the incomparable Kentucky Agate. Come see me at my next show to see all the amazing works of nature's art in my current inventory. These are the ultimate gemstones to add to your signature jewelry collection. Our "Downtown" line is now available from Nora at select shows or through one of our fine boutique or gallery retail representatives. 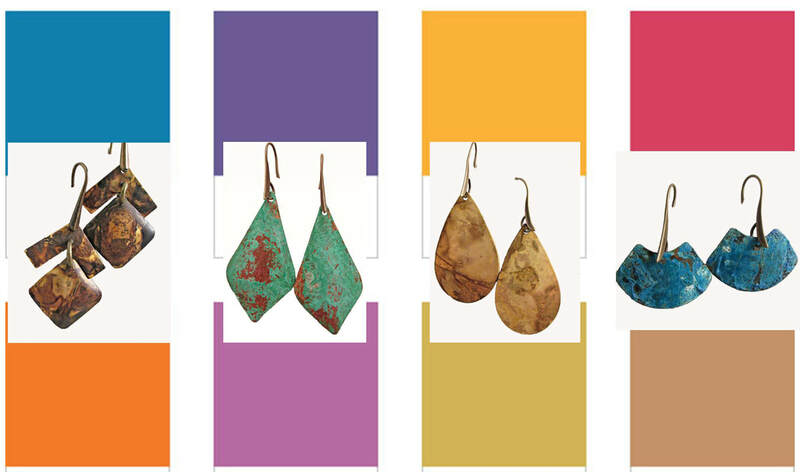 Our patina jewelry is a match made in heaven for this year's Pantone color; Living Coral. Jewelry that actually solves your wardrobe problems. Wear your favorite Nora Swanson Jewelry when you shop, and when you get the new items home, they will easily coordinate that perfect look.